Petersen Lambert | Allana Buick & Bers, Inc.
Mr. Lambert is a Principal for Allana Buick & Bers (ABBAE), and is responsible for all projects in the Pacific Northwest. He provides building envelope, roofing, waterproofing, and exterior wall systems expertise for both existing buildings and new construction. He oversees project planning, production, and team and client management for the region. 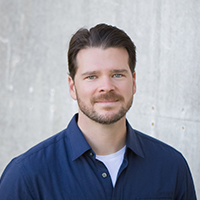 Mr. Lambert is also the lead technical expert for the Seattle office, providing quality control/quality assurance and construction administration services. Mr. Lambert has been with ABBAE since 2001. Prior to opening the Seattle office, he opened and managed the Los Angeles office. His experience includes management of investigation, design, bid support, and construction administration and management for new construction and renovation projects. Mr. Lambert specializes in identifying and resolving complex waterproofing issues during construction.